Added on February 29, 2012 by Adrian+Shane. 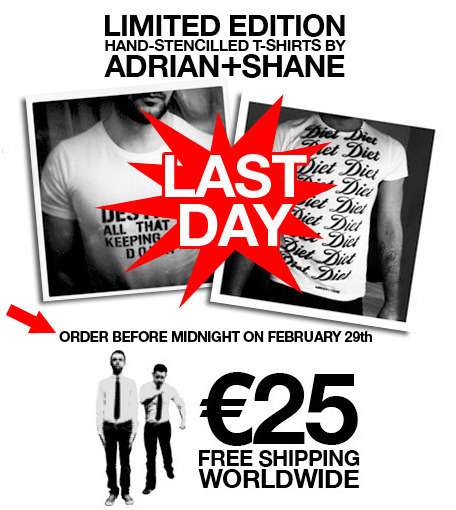 TODAY is your last chance to get your hands on a limited edition Adrian+Shane T-shirt. In "T-shirts", "adrian+shane", "art", "artists", "gay", "limited edition", "slogan", "stencil", "tee"